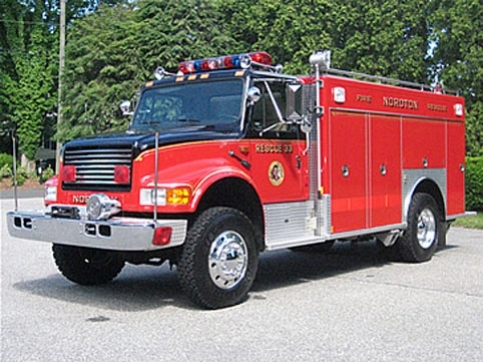 Rescue 33 is the second due apparatus for motor vehicle accidents, contaminated atmosphere, and land based water rescues, in addition to undertaking a support role on our other calls. It is outfitted with a large complement of rescue equipment, including a full set of “Jaws of Life” tools, stabilization equipment, cold water rescue suits and gear, a truck mounted electric winch, and various other hand tools and medical supplies. This equipment allows Rescue 33 to handle the vast majority of motor vehicle accidents and rescue incidents.